The landlord/owner had fallen behind with their mortgage payments and neglected to maintain the Accrington house. The property had been poorly converted from a shop, and in the current market no lender would consider lending. The tenant was still happy with the property due to the very low rent of £200 per month. The real issues started when the adjoining house was broken into and set on fire. It had to be demolished, after being compulsorily purchased by the local council. As a result our client’s house was left with no proper gable wall, so what was an internal wall was now exposed to elements. When the mortgage lender saw the condition of their asset it began proceedings to call the loan in and reclaim its get their money out asap. The landlord had no option but to sell fast. 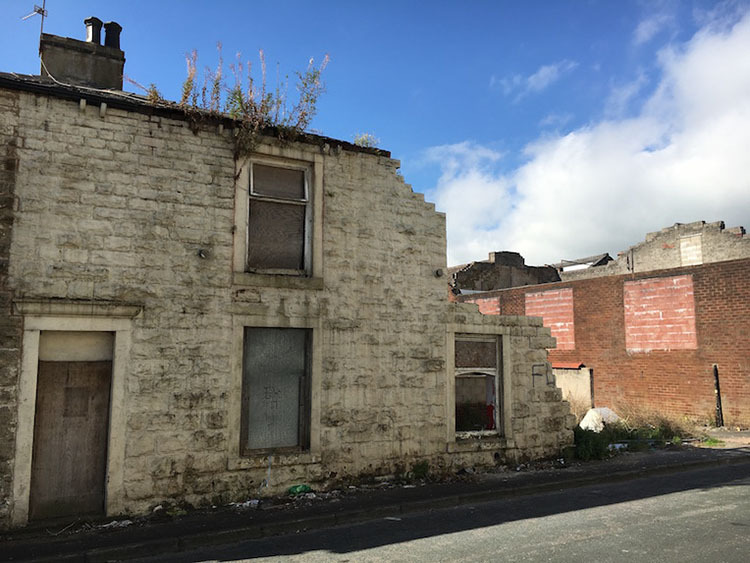 Despite the problems – the fire damage, structural issues, the adjacent demolition, a lack of insurance and being unmortgageable – 365 Property Buyer still went ahead and bought the house. After a few urgent repairs, the house was made safe, water tight and the tenant still lives there. 365 Property Buyer sees this quite often, when portfolio landlords are at the mercy of their lender who has called in the loan, and they are unable to refinance with another lender. 365 Property Buyer can purchase tenanted property in Lancashire quickly and without need to interfere with the tenant or lose rent during the sale. This Accrington Terraced House sold in 14 days, If you are looking for a quick house sale, give us a call on 0800 019 7031 or get in touch.